Already, Anna University involved in various cases. 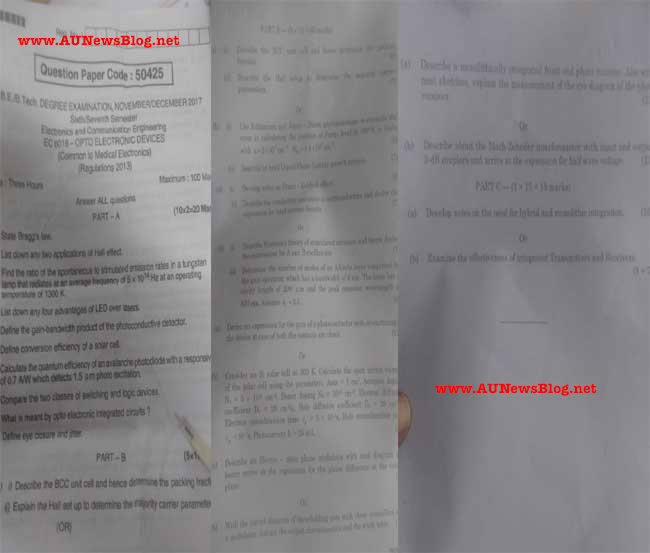 Now, AUNewsBlog team founded another biggest mistake of Anna University. 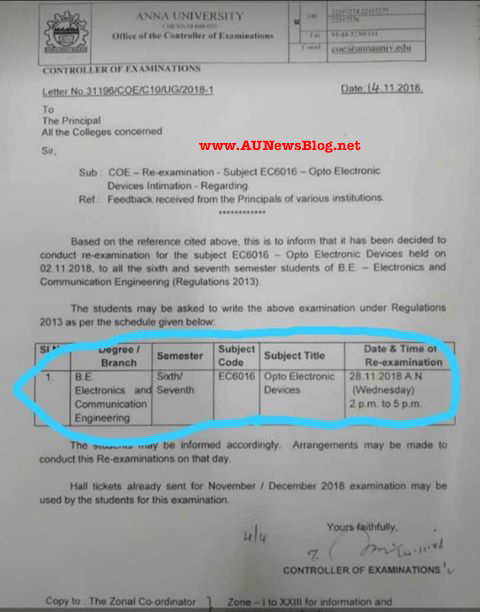 First, We all know Anna University conduct re-exam for 2nd November 2018 EC6016 exams. After, Getting this news we deeply investigate it. We have this question why Anna University not officially announced this news? Why this news secretly sends to all the principal? Finally, We found the real reason. On 2nd November 2018 Anna University wrongly provide November December 2017 EC6016 - Opto Electronic Devices question paper to the students. 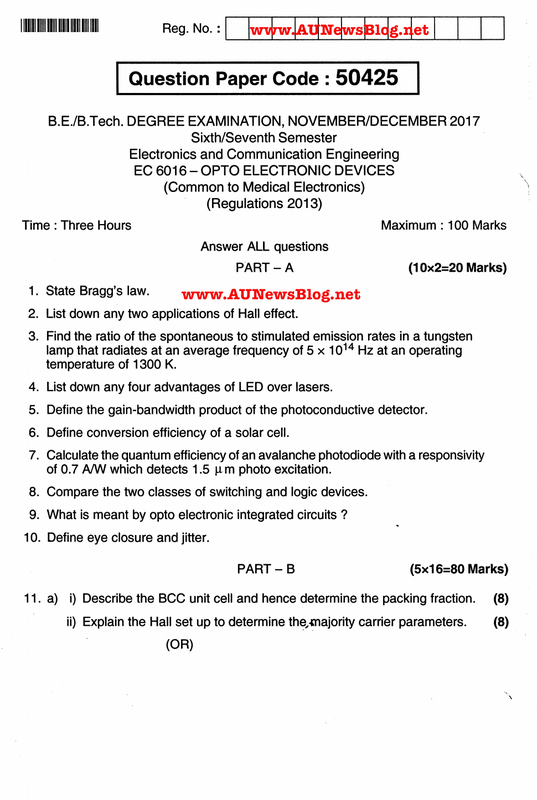 This is the real reason for Anna University conduct re-exam. 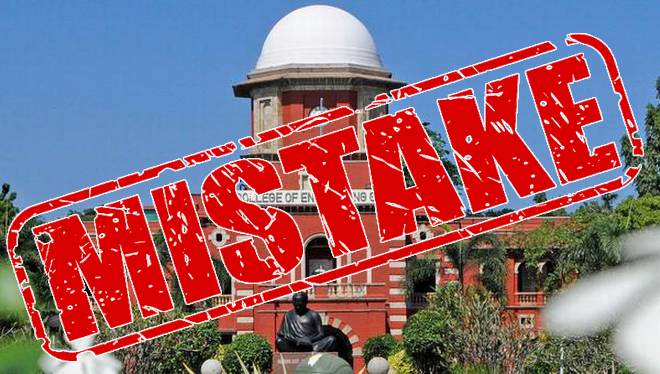 Already, Court warns Anna University more time. Now, This issue also came. So, Anna University secretly dealing with this issue. But we found it. I only had one arrear, and I appeared the special examination which conducted on Aug 2018. Again failed. Lost my degree. 8 years....so much of money,effort..
Partc and two marks are different so why your are conducting re-exam this is your fault again why we should write exam.